Why we need JTOP plugin ? 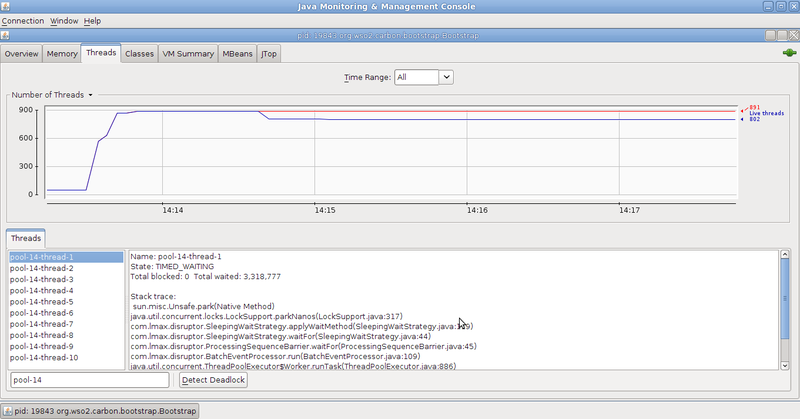 With JConsole , we can detect that there are high CPU load. But it does not tell what are the possible root causes for this CPU load. 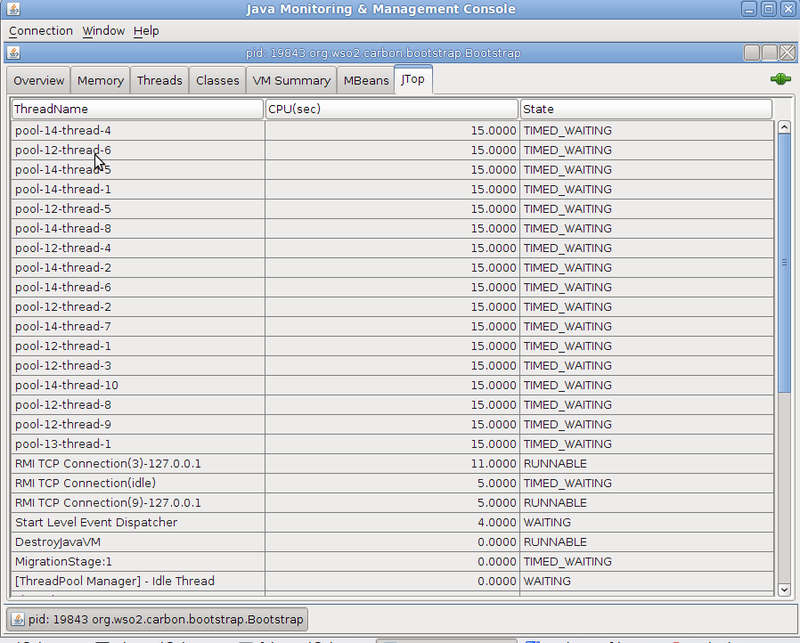 So , with JTOP plugin , it lists all the top level CPU usages in the process. How to use JTOP plugin with JConsole ? When starting the JConsole, you need to give the path to the JTop plugin. General way to start the JConsole with JTop is described in Evanthika's Blog. Why i wanted to use JTOP? When i was testing my server, i experienced a high CPU usage with that server. So i wanted to isolate the issue i have in that server. So i started the JConsole with JTop plugin and my out put was as in following image. With that i could find that , CPU is highly consumed by these threads. 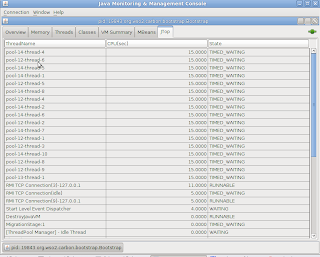 So when i looked in to the thread with "Thread" tab in JConsole, i could identify the root cause for the problem. 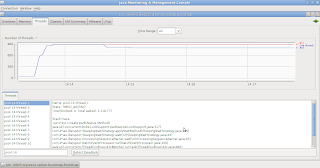 So, to identify the root cause of the CPU overloading issue, JTOP plugin helped me a lot.